A visual essay on the tactile world of Robert Bresson created for the Criterion Collection. conveys a Bressonian sensibility . . . these shots/your montage reveal something of the man and artist. Subtlety, spirituality, materiality. Bresson believed (…Montaigne) that hands have their own soul. Many video essays that rely solely on visuals often don’t work very well. What has been edited together can seem more like a set of jumbled trailers than a coherent message. Often it’s simply a poor choice of material. But this video is so well constructed we fall into the magical world of Bressons hands. How come more film-makers don’t use hands like this more often. 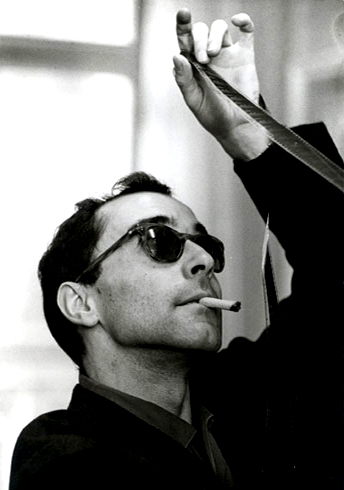 Iconic image of famous auteur looking for his cut. Can he see anything with his shades on, through a fog of smoke from his Gitane? I’m curious if it is noticeable in the film’s scene rather than just a still from the film? Sometimes a shot like this may last a second or two – but as a frozen frame it seems so much more significant. David Bordwell once laid out a whole color theory about an Angelopolous film. When I went back to see the scene it passed by so quickly that it barely registered. But, clearly, he had seen it on an editing device [or DVD] and was able to watch the film frame by frame. Which essentially made it a different scene. There’s the viewer of the film and the maker of the film. Whether film or digital, editing involves looking at individual frames or freeze framing. Nowadays the viewer of a DVD can stop the film in much the same way as the editor does. The difference is the film-maker started off with a lot more footage to edit down to his final film, the viewer only has the final cut, whether to view as a film or frame by frame. 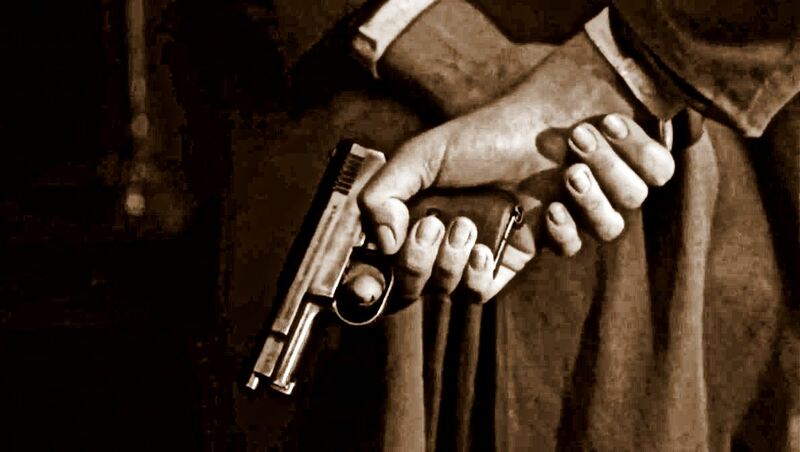 In writing a post on Bresson’s The Devil, Probably, I re-watched Pickpocket because I learnt that Paul Schrader, the writer-director [American Gigolo, Patty Hearst, and Light Sleeper ], who interviewed Bresson in 1976 just prior to himself winning at Cannes for Taxi Driver – he wrote the script: Martin Scorsese directed – thought it the best film ever, using similar ending to The Pickpocket in several of his own films. In this brief interview with Sheila Johnson in the Telegraph [23 January 2003], Schrader re-affirms his love for Pickpocket. So we have a character called Charles in a Bresson film studying a book about a thief whose life has been stolen by the author. 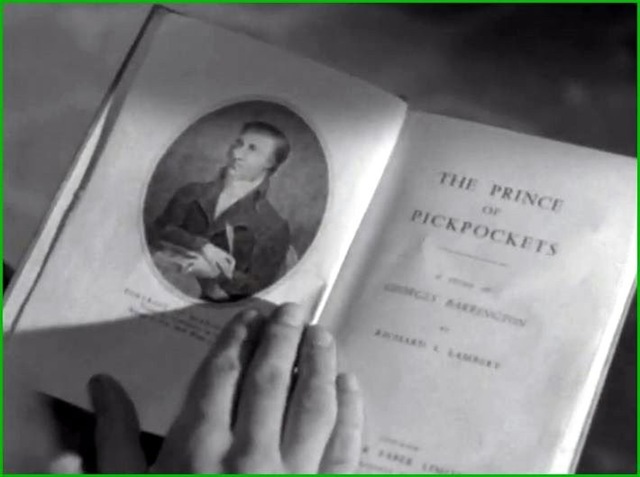 Plus: thief, Barrington, whose real name may not been Barrington. Thre is a YouTube of a 1960 interview with Bresson (French with English subtitles). The two interviewers looks supiciously as if they are behaving like Bresson’s ‘models’. John Humphreys and Jeremy Paxman could well have learned from her ‘technique of interruption’. One comment in YouTube calls it The Trial of Robert Bresson. But this is Bresson by Bresson, and so useful.